John A. Solheim, PING Chairman & CEO, has been honored with the distinguished Lifetime Achievement Award at the HSBC Golf Business Forum in Shanghai, China. Solheim was recognized for his contribution to golf and for his achievements, leadership and innovation within the business side of the game. He got his start in the business when he was only 13, working alongside his father, Karsten, on early putter designs in the family’s garage. He aspired to be an architect, but as PING’s business expanded, he turned his passion to designing golf clubs and helping Karsten grow the privately-held entity into one of the most influential golf companies in the world. As chairman and CEO, he leads the company’s strategic direction and oversees the design and development of PING products. 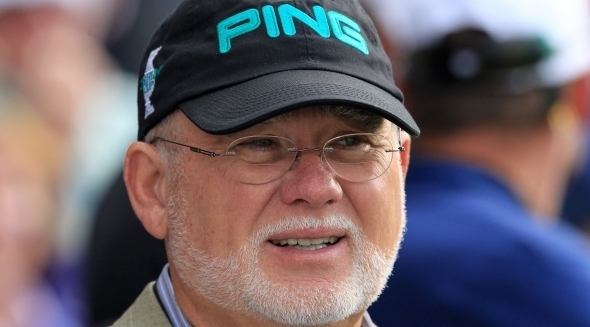 In particular, HSBC saluted the Solheims (PING founder Karsten Solheim and his wife, Louise) for creating the Solheim Cup in 1990, and for John Solheim’s role in elevating it to global success and creating the PING Junior Solheim Cup in 2002.